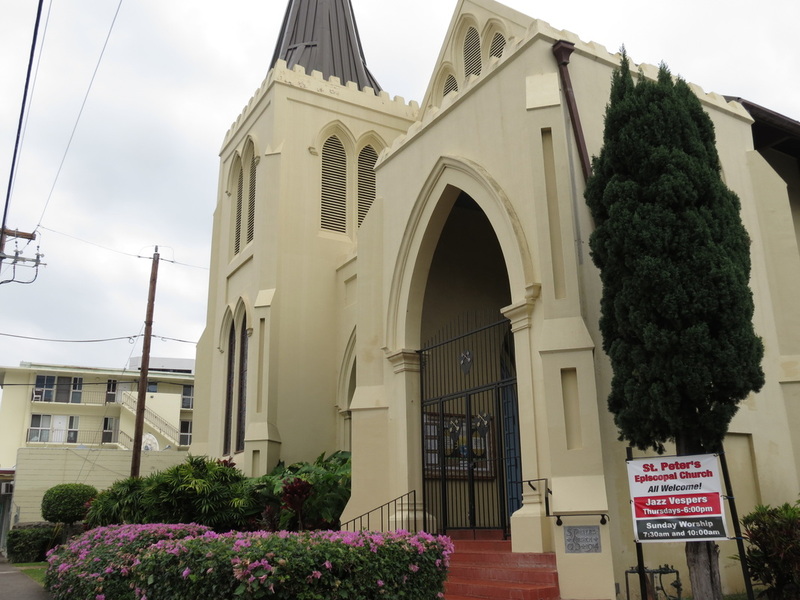 To serve the needs of its parishioners and members of other Episcopal churches, St. Peter's Episcopal Church has constructed a Columbarium to provide a final resting place of beauty and serenity for the ashes of those who desire inurnment. 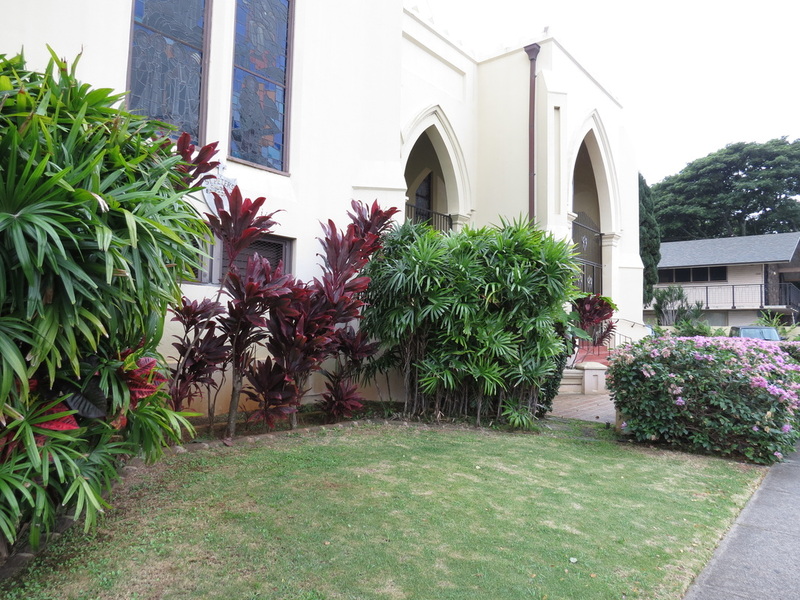 The open-air Columbarium, known as the Memorial Garden of Peace, is located on the mauka (mountain) side of the church and is accessible through metal grillwork gates. Benches are placed in the courtyard to provide loved ones with a sitting area for quiet reflection. Trellises shelter the rows of niches, while flowering plants and trees add to the tranquil, outdoor garden setting. The granite walls contain 265 single compartment and 70 double compartment niches. Each niche will be fronted by a simple, yet elegant, bronze memorial plaque with the person's name, date of birth and date of death. 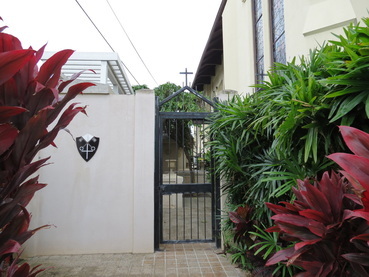 Parishioners should consider making arrangements in advance of need to reduce the burden on surviving family members. 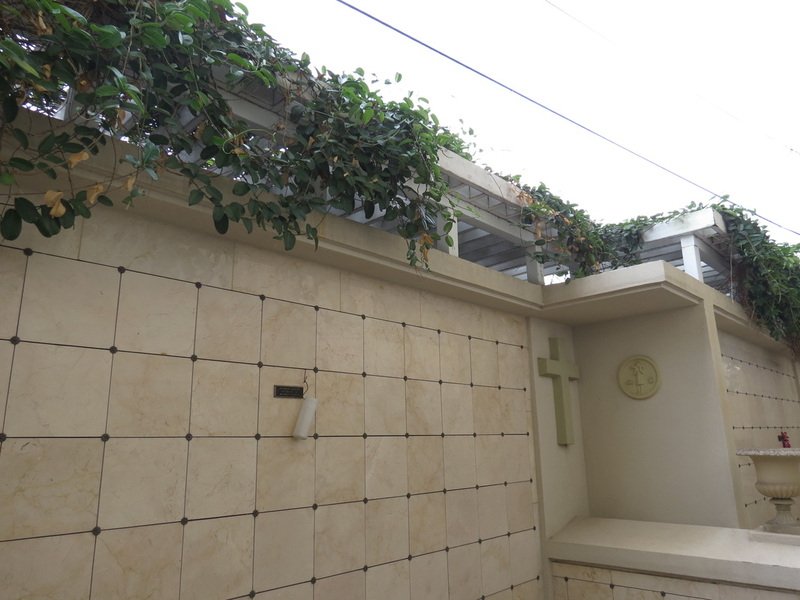 All payments are deposited in trust for the payment of perpetual care of the Columbarium. Applications and copies of the rules of the Columbarium are available in the St. Peter's office. "Almighty God, look with pity upon the sorrows of your servants for whom we pray. Remember them, Lord, in your mercy; nourish them with patience; comfort them with a sense of your goodness; lift up your countenance upon them; and give them peace; throughout Jesus Christ our Lord. Amen. "